How do you feel the day after? That day when you climbed on the highest step of the world podium. This day when everything worked perfectly and where the victories were chained one by one, until the most beautiful, the one that releases the extreme concentration and tension of the big planetary rendezvous? 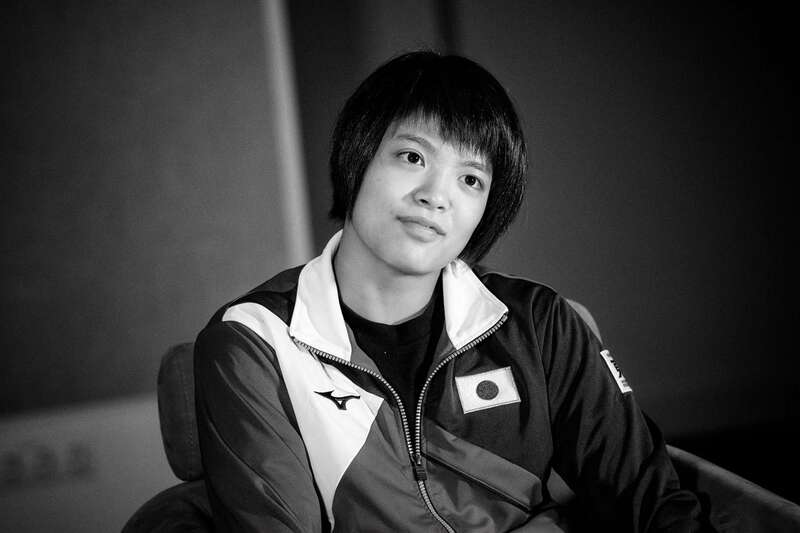 It was not necessary to ask that question to Abe Uta and her brother, Hifumi, who entered the history of the sport on the second day of the Baku World Judo Championships in Baku, winning simultaneously the two available gold medals. They are exhausted and happy at the same time. Everything went well for the 'golden family’ but that the fatigue did not escape them. It may be on the contrary because they have won everything and especially given everything that they are even more than anyone else, drained of all their energy. It must be said that becoming world champion is not a sinecure, because in the hours that follow the victory they must comply with all requests for interviews and must meet all the solicitations. There is nothing sad about it, but when the last drop of sweat has crashed on the tatami, you still have to smile, talk, answer, comment, analyze ... until the end of the night. Uta and Hifumi did the job and they did it beautifully. One had to see, after the award ceremony, both heartily laughing and literally having fun like kids in front of the cameras. Their happiness was communicative. When you are Japanese, brother and sister, and you managed to win the world title together, the same day, it certainly adds a lot of media pressure. But if they have fun and show real connivance, they are already great professionals both on the tatami and outside, answering with a very Japanese precision to all questions. Uta, 18, is young, fresh, like Daria Bilodid the day before. She is the new icon of this young generation which is taking the reins of power on the world circuit. Hifumi is barely older. World Champion in 2017 already, his younger sister joined him and obviously, it makes them both happy, simply. Throughout the day, when they had to focus on their own tournament, they supported each other and it is almost difficult to know if it is their own title that fills them with joy or the other. The bodies are tired, the voices weakened by the energy lost during the competition, but the minds are clear. Abe Uta explains with a big smile, that for her what really makes her enter a competition, it's the moment she puts on the judogi. From the moment the cotton fabric slips on her back, she transforms herself into a warrior of only eighteen years, who is not afraid of anything. She knows her basics, her body knows what she has to do, she learned it through hard training: "When in the final I launched my uchi-mata, I knew immediately that I was going to score ippon. When I saw the referee confirm the score, it was a real firework in me." When she climbs on the tatami, the young woman, like her brother, has only one idea in mind: to score ippon. They both live only for that; for the beautiful judo, the great judo, the one who enchants the crowds. While everyone has noted the ability of Hifumi to adapt to his opponents and prepare the perfect technique, the now two-time world champion explains that he does not prepare specifically for each match, but that he adapts according to what he feels during the first contacts. The only plan he applies is his, the one he has learned since his early childhood. Uta and Hifumi, the next day are therefore exhausted, that's for sure. Nobody can complain about it though. But they are admirable and beautiful despite their small eyes and drawn features. If they won the world title, the international sport has as well, won a lot with their performance. Next episode of the Abe story? In Tokyo next year for a new double title perhaps and again in the Japanese capital in 2020. To be followed.